Inspired by nature, the Oliva Coffee Table is made to resemble the angular structure of tree branches. The rectangular tempered glass table top highlights the diagonal elements of the piece increasing its visual interest. The perpendicular lines create spacious shelving below for storing magazines and personal items. It is made using high-quality honeycomb core construction with veneer in your choice finish for complementing a variety of living spaces. 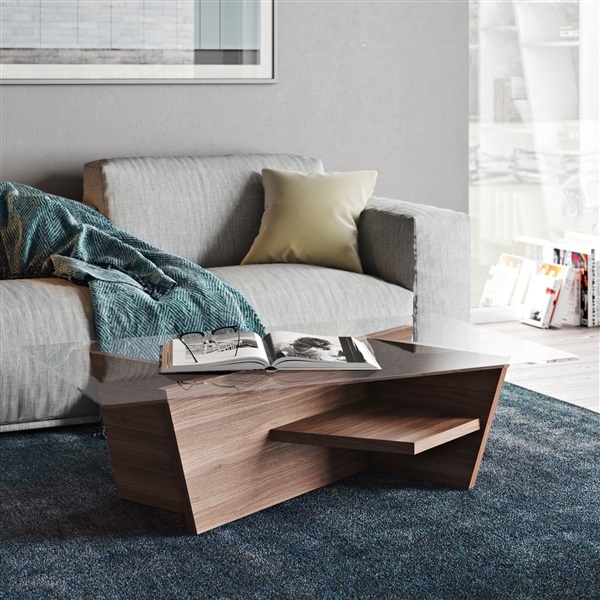 The Oliva Coffee Table is an ideal specimen of form, functionality and style. Give your living room a new and modern look by pairing it with a range of other items in the Oliva Collection by Tema Home.